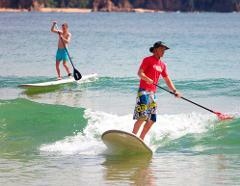 A great way to learn the basics and then enjoy the freedom of SUPing on Fishpen Road Merimbula Lake. Learn the skills of Stand Up Paddling with one of our friendly qualified SUP instructors. The lesson is tailored to each participants skill and fitness level. A great way to learn the basics and then enjoy the freedom of SUPing or Kayaking on your own or with a friend on Merimbula Lake. 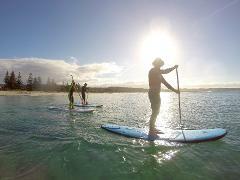 A great way to learn the basics and then enjoy the freedom of SUPing on your own or with a friend on Merimbula Lake.